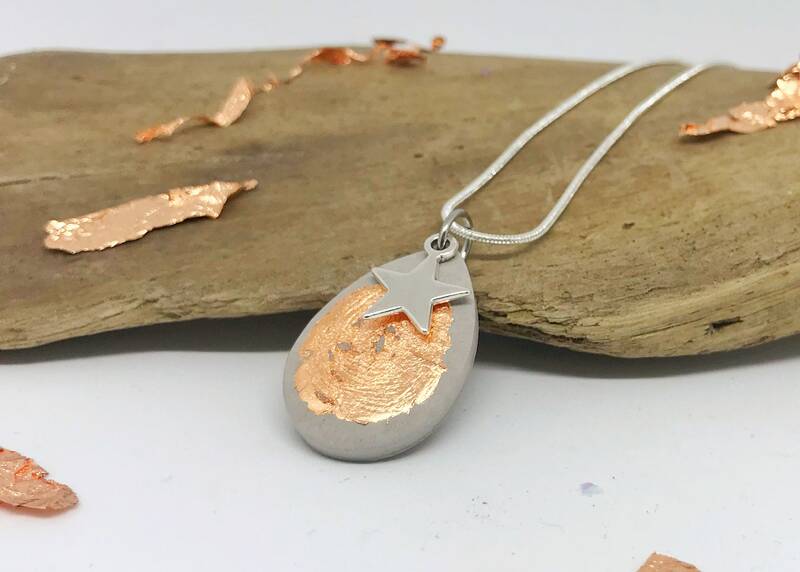 Gorgeous concrete necklace, decorated with Flakes in Copper and a Star. A real Eye-catcher. The Chain is pleasantly light. Sliding beads Set "me rich, I'm going to magic"